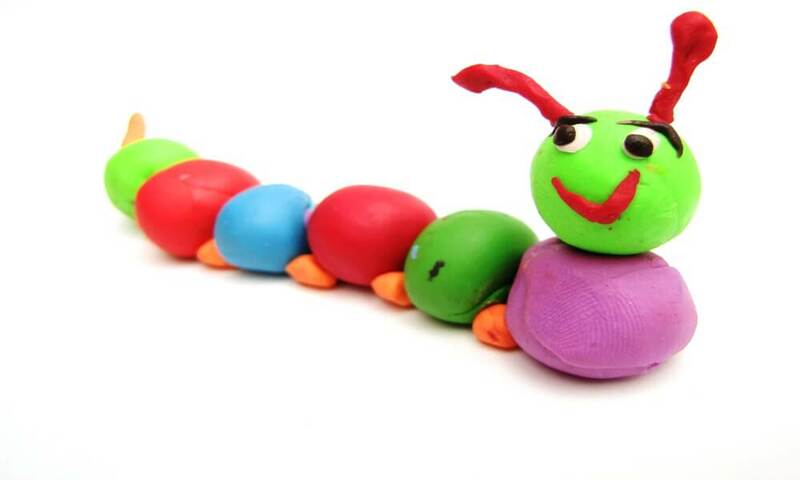 Playdough, also known as Play- DOH, is a non-toxic toy, coming in a variety of colors and fragrances. This clay-like substance is loved by kids of all ages, and even some adults, including me! But did you know you can make playdough even at home? Sounds too good to be true, right? Yes, with just a handful of ingredients, you can make playdough at home. And believe me, it’s not difficult at all. So check out different recipes for playdough below. We’re sure at least one of these DIY playdough recipes will catch your attention. This is a classic playdough recipe that involves a bit of cooking, which gives the playdough a better texture. Mix all the ingredients in a saucepan and put it on low heat. You will see your dough thickening and resemble mashed potato. When you see the dough pulling away from the sides and clumping on the center, remove from the heat and put it aside for it to cool down. If your playdough is still sticky, cook it a bit longer. Your next step is kneading the playdough. Place the dough on a silicone mat or a clean counter and knead until the texture is silky smooth. Now comes the coloring part. Either give the entire ball the same color or divide it into several balls to give your playdough different colors. It’s totally upon you to decide which color you want to give to your playdough. Make a dent or divot in the center of the dough ball and add a few drops of food coloring to it. Fold and knead until the entire ball is of the same color. If you want, you can even use gloves or a plastic wrap to keep your hands clean. And feel free to add more food coloring if required. You can either play with the playdough right away or store it for later use. This playdough is edible, so you don’t have to worry about your child playing with it. And just because it’s edible, doesn’t mean your child should eat it. If you’re feeling too lazy to cook, you can prepare uncooked playdough recipe. It’s almost same as the cooked playdough, with just a slight difference in texture. What more? It takes just 10 minutes to make. Take a medium-sized mixing bowl and add flour and salt to it. Now pour the water into the mixing bowl and mix it with a spoon until it isn’t very floury or watery. Now it’s the turn to add food coloring. Pour a few drops of it into the dough and start kneading. You can add more of it until you get the desired color. That’s it! Your playdough is ready. In a saucepan, combine salt and water and boil until salt dissolves. Remove it from the heat and add Kool-Aid powder or food coloring to it. Now add flour, alum, oil and knead until smooth. Your playdough is ready. This particular playdough will last you more than 2 months or even more. This is the simplest of all the playdough recipes. You need to mix water, salt, and flour in a saucepan and cook over medium heat. Remove from the heat when the mixture looks rubbery and thick. When the mixture cools down, knead the mixture to make the dough doable. Add all the ingredients in a mixing bowl, and knead until you get a smooth dough. Your playdough is ready. When you are not playing with this playdough, you can store it covered in a refrigerator. This playdough is edible, but is not intended to be eaten. How To Make Cornstarch Playdough? In a saucepan, combine cornstarch, baking soda, and water. Stir the mixture briskly until cornstarch and baking soda dissolve entirely. Now, you need to cook this mixture on medium flame until it starts turning solid. Ensure that you keep stirring constantly. After 4 to 5 minutes, you will see the mixture bubbling. Then it will solidify and turn into a clump or a ball. Once the ball has formed, take out the dough from the saucepan and place it on a parchment paper so that it cools down. Once the dough is cool enough to touch, flip it over and knead. Your next step is adding essential oils and food coloring to the mixture and kneading it well. Keep kneading until the dough is uniform. Make sure there are no swirls or streaks. Your playdough won’t look very appealing with swirls or streaks. Your playdough is ready. You can pull it, smoosh it, make figures with it, or just do anything you like. How To Make Edible Marshmallow Playdough? In a microwave-safe bowl, put cornstarch, marshmallow and coconut oil. Add a few drops of food coloring of your choice to this mixture. Stir to combine. It’s totally up to you how much food coloring you want to add. The more food coloring you add, the darker your playdough will be. Now microwave the mixture for about 30 seconds or until the marshmallows start expanding. Take out the bowl carefully and stir the ingredients together with a stirrer. You need to keep stirring until it turns into a dough and you cannot stir it anymore. Now knead the dough with your hands until everything is mixed well. If you feel the dough is a bit too dry, add a few drops of coconut oil to it. And if the dough is too wet, add some cornstarch and knead. Note: This playdough is safe to eat, but please do not eat it all at once or else you will get a stomach ache. This recipe is primarily meant for young kids who put everything into their mouths, not for snacking. And please do not eat it if you have thrown it on the floor, or sneezed or coughed on it. Use it just for playing. Furthermore, the shelf life of edible, marshmallow playdough isn’t that great. Please throw it out if it starts emitting a strange smell. And DO NOT eat it a bad smelling edible playdough. This is a completely edible peanut butter playdough. You just need to combine all the ingredients in a bowl and mix. Keep adding milk plus flour or dry milk until you get the consistency of bread dough. Now you’ll have to add cocoa to give your playdough a delicious flavor. Now shape the dough any way you like, decorate with edible treats and serve. Or just give your child or children a plastic rolling pin, and some cookie cutters and they’re good to go. Why Are These Playdough Recipes Best? All these playdough recipes, except the oats playdough recipe, are super soft, fluffy, and non-sticky. The playdough will last months if you store them correctly. You can reduce or increase the quantity of the playdough by adjusting the quantity of the ingredients. You can customize these playdough recipes any way you want, either adding different colors or fragrances. You can even add glitter to the playdough. It’s purely optional. How to turn playdough into slime? If you want to turn playdough into slime, stretch the dough out a bit and apply moisturizing lotion in the middle. You need to keep folding the playdough until the lotion is completely absorbed. This will give the playdough a slime like consistency. How to make playdough soft again? To make your playdough or Play-DOH soft again, you just need to add some water to the dough and knead again. How long does homemade playdough stay fresh? Homemade playdough can easily last a couple of months before it starts getting hard. So, ensure that you store it in a sealed or airtight container. How can I make the rainbow dough? 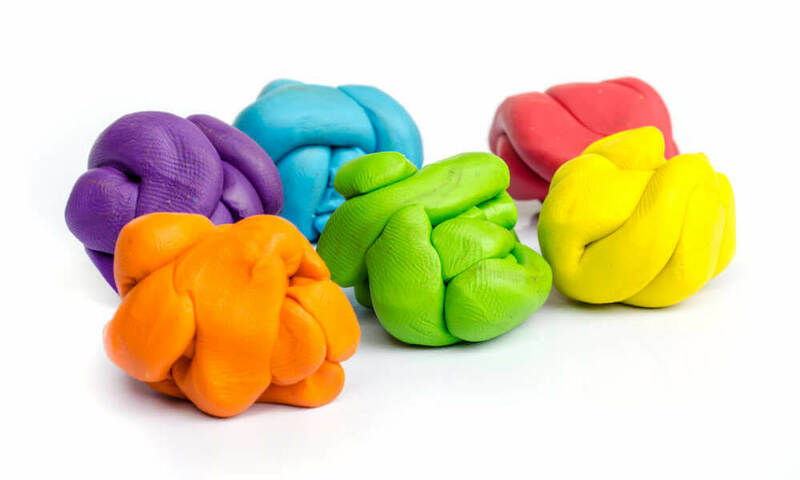 You can easily make rainbow playdough by adding different types of food dye to the mixture. Can I put playdough in the refrigerator? No, you must not put your playdough in the refrigerator as it will make it flaky or dry. Always store playdough, either homemade or store-bought at room temperature. Do you need cream of tartar for making playdough at home? No, it isn’t necessary to add cream of tartar to your playdough, but we would recommend it as it would make the dough a bit less stretchy. Feel free to add other fun ingredients to change the appearance or texture of the dough. We’d suggest you add peppermint and other essential oils to give your playdough a pleasant smell. Just ensure that your children do not eat it. Always wash your hands before handling playdough. You need to instruct your child to do the same. All the recipes mentioned above require different ingredient ratios. So keep experimenting until you find the ratio that works best for you. Throw away any dough that was put in the mouth, coughed or sneezed on or fell on the floor. 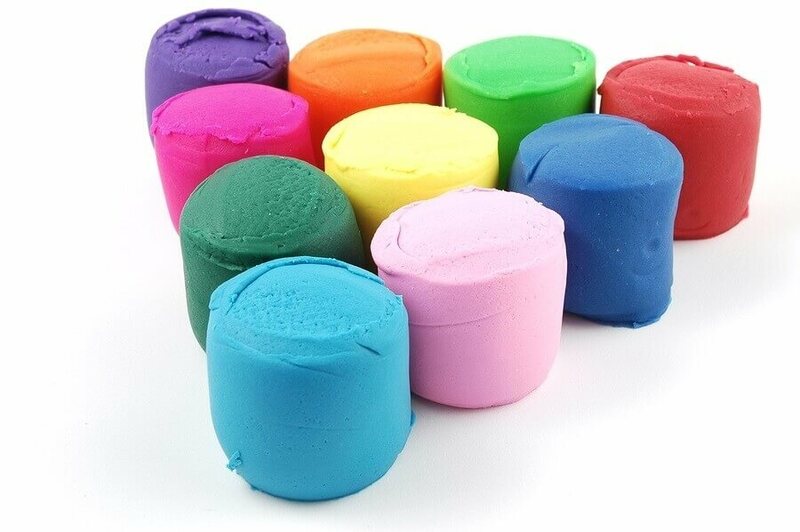 If you’re making playdough for your classroom, toss it out after a week. Classrooms can spread the illness at a very fast pace, if you are not careful about it. If you’re a mother, we’d advise you to let the kids choose the color and let them help you in whatever way they want. It’s an excellent way to keep them involved. Although making playdough at home isn’t difficult at all and the ingredients used are also safe to handle by children. But we would suggest adult supervision while making it. Do let children handle it on their own. To give your playdough a tie-dye look, mix the colors at four different corners using a toothpick. 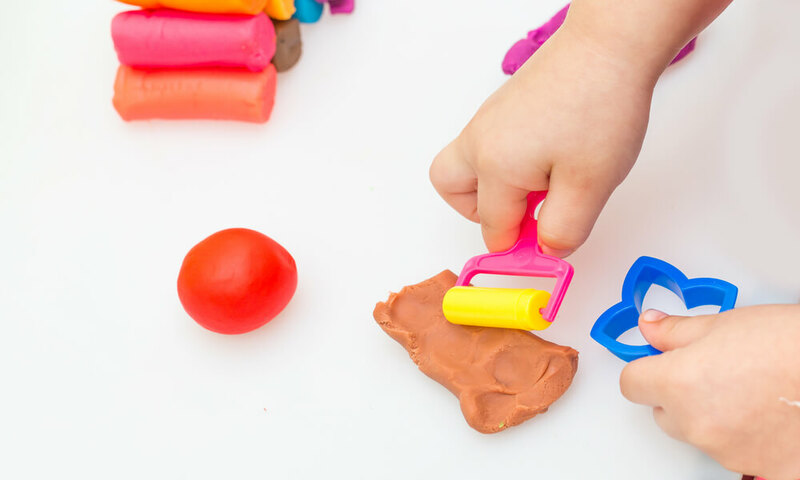 Keep the playdough, whether cooked or uncooked, homemade or store-bought away from pets and dogs. Playdough does smell like food, but it contains a lot of salt, which can upset your pet’s stomach and cause salt imbalance when consumed. Always store playdough in airtight containers. If the playdough begins to dry out, add a bit of water to it and knead. The dough will soften. If the playdough has dried beyond recovery point, then you’ll have to make another batch of playdough. If your playdough gets soggy, reheat so that the dough soaks the extra water. You even have the option of baking playdough figurines to harden them. When it has hardened, you can decorate it any way you like. We hope you find our list of playdough recipes helpful. All these recipes are super fun to make and don’t even require much of your time. The best part is that this recipe that the ingredients needed would be available in your house itself. So save all your money and make this thrifty activity with your friends and family right away. Which of these DIY playdough recipes will you try at home? And is there any other way to make playdough at home, which you would like to share with us? Then leave us a comment below. And don’t forget to check out our article on how to make slime at home.